Brass push to connect fitting with o-ring male run tee connects a female thread to a straight tube and to a second tube at a 90-degree angle, two on the main run and one branch at a 90-degree angle from the middle of the tee. 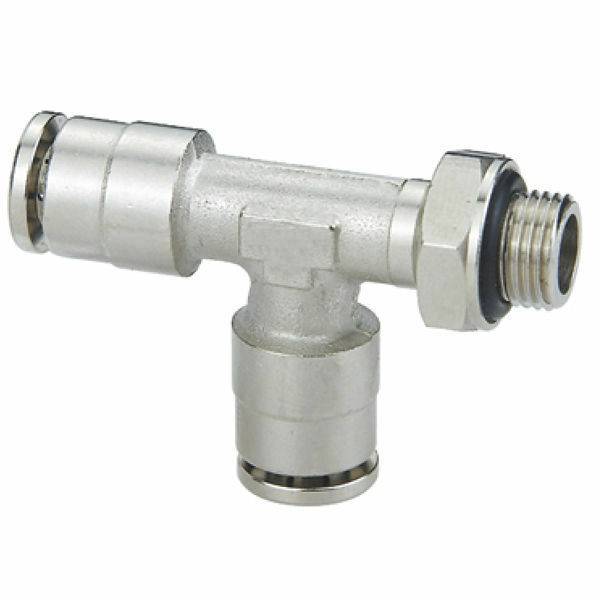 Brass push to connect tube male run tee fittings are made of nickel-plated brass for durability and corrosion resistance. They are excellent choice especially for industrial applications, where such elements can be exposed do accidental damage. 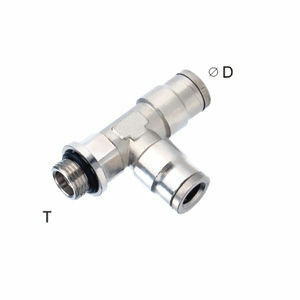 In this category you can find male straight brass push-in fittings, available for threads from M5 up to G 1/2, and for tube diameters from 4mm up to 16mm.